Durham University is a legally independent and autonomous institution established by Act of Parliament in 1832 and Royal Charter in 1837. It is also an educational charity. The University receives about a third of its income directly from the UK Government, via HEFCE (Higher Education Funding Council for England). Durham University is the third oldest university in England and one of the leading universities of the United Kingdom. The university exists both for the education of undergraduate and postgraduate students and as a centre of excellence for research in a very wide range of fields. Durham has one of the leading physics and astronomy departments in the UK. Each year we admit about 170 students to study for degrees in Physics, Physics & Astronomy and Theoretical Physics. Our research ranges from fundamental topics such as elementary particle physics and cosmology to applied areas such as material physics and biophysics. The Centre for Advanced Instrumentation (CfAI) is one of the major research groups in the Physics Department with approximately 50 staff and research students. It is distributed across two physical locations, one of which is in the Department of Physics Rochester Building on the University science site in Durham, and the other in the NetPark Research Institute about ten miles away near Sedgefield. CfAI develops state-of-the-art instruments for application across a wide range of disciplines including astronomical instrumentation, biophysics, remote sensing and fusion diagnostics. The CfAI has been using state of the art high performance computing (HPC) for many years both for simulations and for the real-time handling of data in astronomical telescopes. We are also a part of the wider HPC community within the university led by the Institute for Advanced Research Computing (iARC). Our staff includes engineers who specialize in software engineering and design and in the application of state of the art HPC hardware such as FPGAs and GPU accelerators. 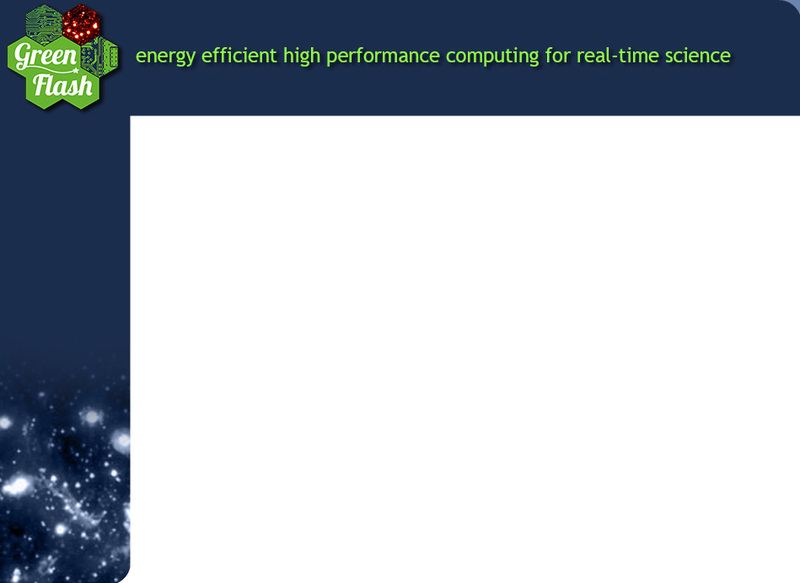 The scale of HPC applications, particularly in astronomy, has led to strong relationships between the university and HPC providers such as IBM and NVidia. Durham University is an NVidia CUDA (GPU) Research Centre. The CfAI has a long record of effective management of substantial research funding for large projects both from UK research councils and from the EU. We have delivered large astronomical instruments both to ESO and to other observatories worldwide. Our staff structure provides for the roles of project scientists, project managers, system engineers and engineering and science specialists. The project will be led at Durham by Professor Richard Myers who is currently the head of the research section and a world leader in the field of adaptive optics. The day-to-day progress of the project will be overseen by Dr. Nigel Dipper, the head of software at CfAI who leads the HPC real-time control research program at Durham.